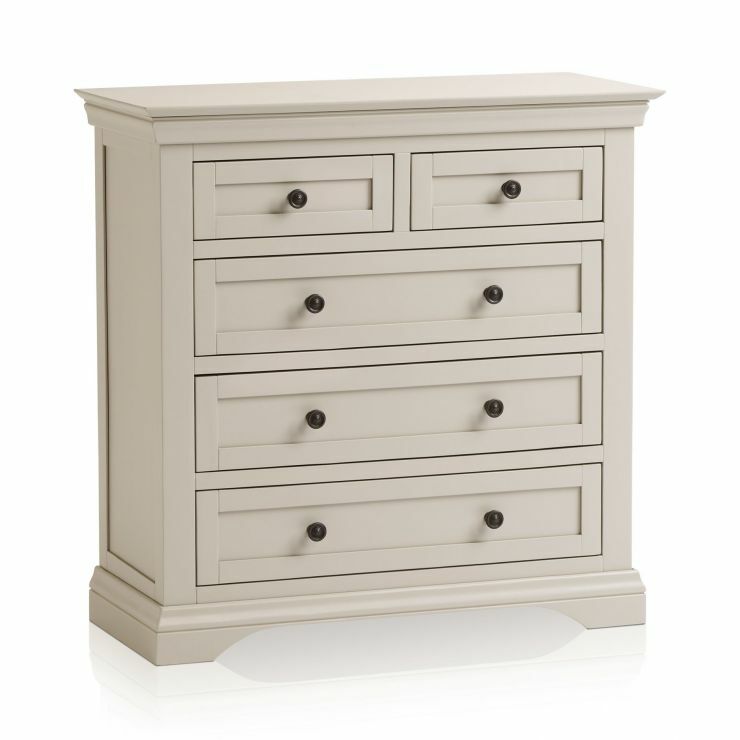 Bring a touch of simple sophistication to your bedroom with the Arlette chest of drawers. 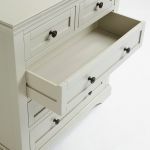 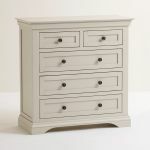 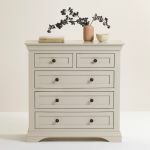 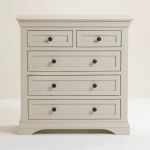 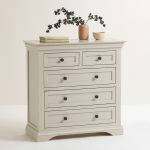 This beautiful painted piece, in a smooth and crisp shade of versatile mid-tone grey, is great for adding storage with its five sturdy drawers that feature real dovetail joints for durability. 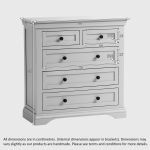 It boasts all the design details that the Arlette range is known for; it has decorative cornices on top and an arched base, panelled detail on the drawer fronts, and contrasting dark metal handles. 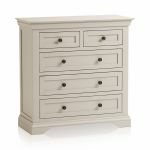 It coordinates with other stylish Arlette bedroom pieces, so browse the full range and discover a great new look for your home today.